Stories and verse featuring characters from the television show introduce number concepts, letters of the alphabet, and word meanings. About Children's Television Network (Editor) : Children's Television Network is a published author. 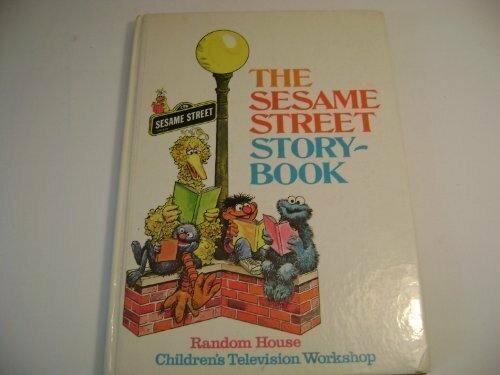 Published credits of Children's Television Network include Sesame Street Paper Doll Players Paper Doll Book and The Sesame Street Book of Puzzlers. About Mary Lou Dettmer (Illustrator) : Mary Lou Dettmer is a published illustrator. A published credit of Mary Lou Dettmer is Little Red Riding Hood, An old nursery tale (Tell-a-Tale Books). About Mel Crawford (Illustrator) : Mel Crawford is a published author and an illustrator of children's books. Published credits of Mel Crawford include Triple Trouble and Double Trouble Mansion Mystery. About Mike Frith (Illustrator) : Mike Frith is a published illustrator of children's books. A published credit of Mike Frith is The Sesame Street Storybook.